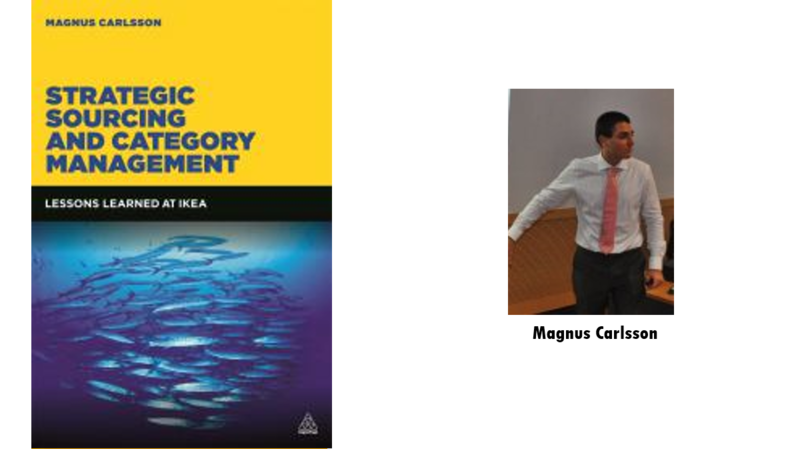 Strategic Sourcing and Category Management examines how category management works in practice, drawing insight from IKEA. With over twenty-five years’ experience of purchasing at IKEA, Magnus Carlsson shares the wisdom gained from devising and executing IKEA’s highly successful purchasing strategies. The text is supported by insightful interviews and case studies, which are compared and contrasted with examples from other leading companies. In answering these three questions, Magnus Carlsson not only presents the guiding principles behind category based sourcing, he also demonstrates how category based sourcing can effectively be implemented in practice and provides guidance on how to realise the benefits of this approach. Cleverly connecting theory and practice, the book draws upon both existing and new tools, and applies them in a highly practical context. With application spanning far beyond IKEA, this book is an invaluable resource for procurement professionals in any industry. Strategic Sourcing and Category Management is the result of twenty five years’ experience of Strategic Sourcing within IKEA and collaboration with several companies and the Stockholm School of Economics. Magnus Carlsson has over twenty-five years experience as a strategic sourcing expert at Ikea. He developed and led the implementation of Ikea’s purchasing strategy, which included category based sourcing. He was responsible for the strategic sourcing of Ikea’s global textile, metal and veneer businesses, as well as component and raw material procurement. He is currently a lecturer, trainer and advisor in strategic sourcing and category management.